Calling all HGTV obsessed buyers, your Farmhouse dream home is here! This pristine like-new Hideaway home will have you in awe as soon as you step through your new front door. You'll be greeted with tons of natural light, gorgeous light tile, and the perfect office with French doors upon entry. You'll fall head over heals for this kitchen! 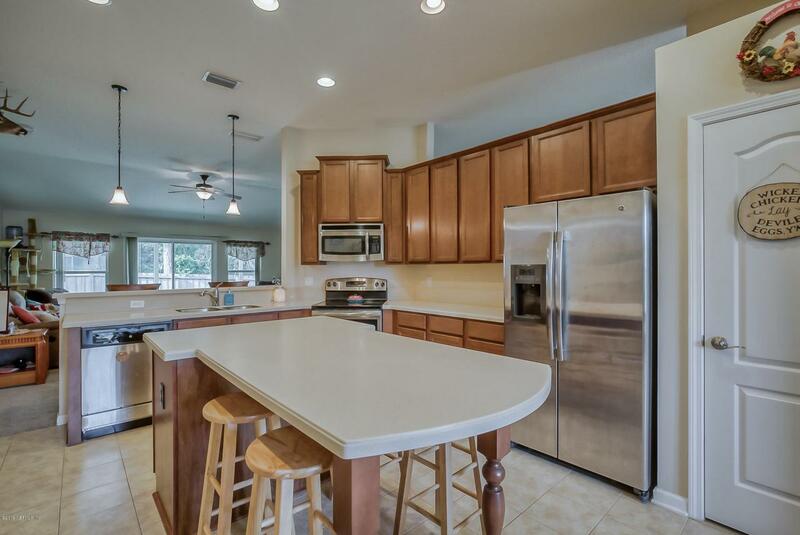 Boasting tons of cabinets, SS appliances, corian counters and a massive center island with plenty of space for seating and food prep. 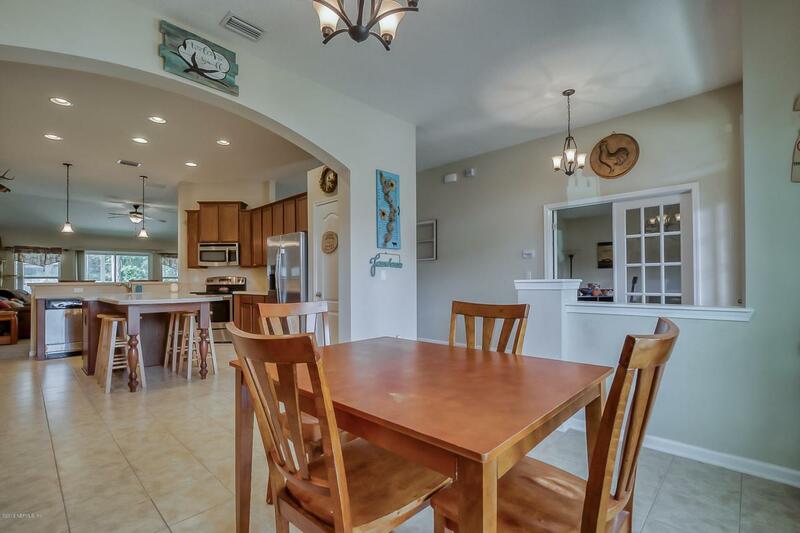 Dining room situated right off of kitchen is plenty big for that perfect farmhouse table you've been wanting! 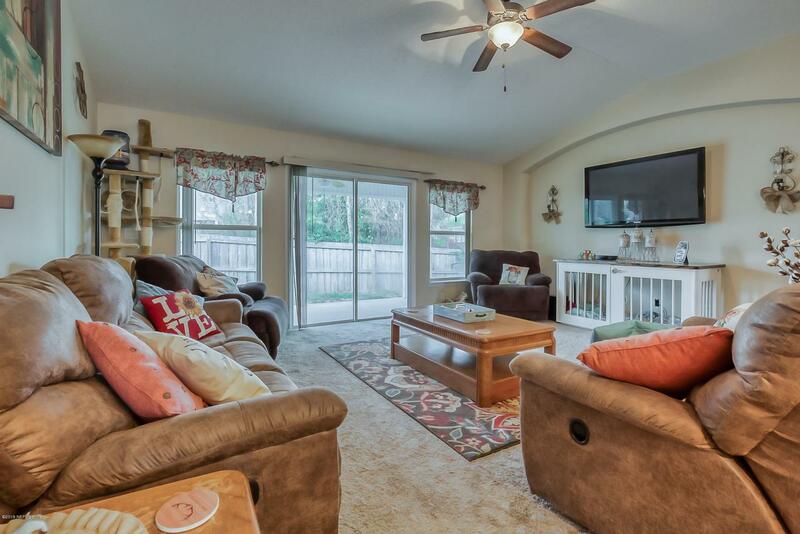 Don't forget the breakfast bar overlooking the family room, entertaining has never been easier.Split bedrooms allows for master bedroom privacy with tray ceilings, tons of closet space, and an on-suite with his and hers sinks, separate garden tub and fully tiled walk in shower. Two bedrooms across the home are split by another full bath, all very spacious. Fully fenced back yard, you can enjoy your morning coffee on either the covered back porch or your adorable front porch. Lot is situated next to wooded preserve for that extra peaceful view. 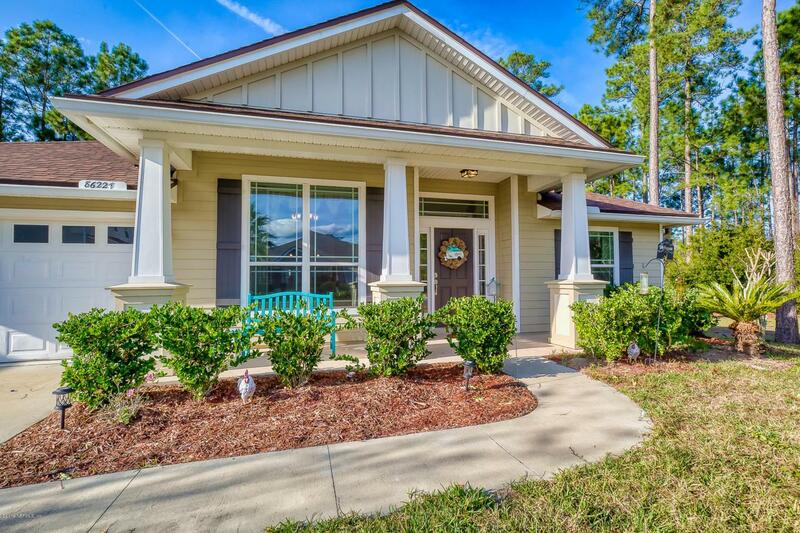 The sought after Hideaway neighborhood offers a community pool and park with NO CDD fees and is in the heart of Yulee with easy access to 95 from 17 or 200 for commuters. Central to Jax airport, Georgia state line and Amelia Island beaches, you'll have it all at your fingertips!